I’m so excited that once the kids are back and settled at school I will be headed back to Rock Paper Scissors for another session of Beginning Quilting! 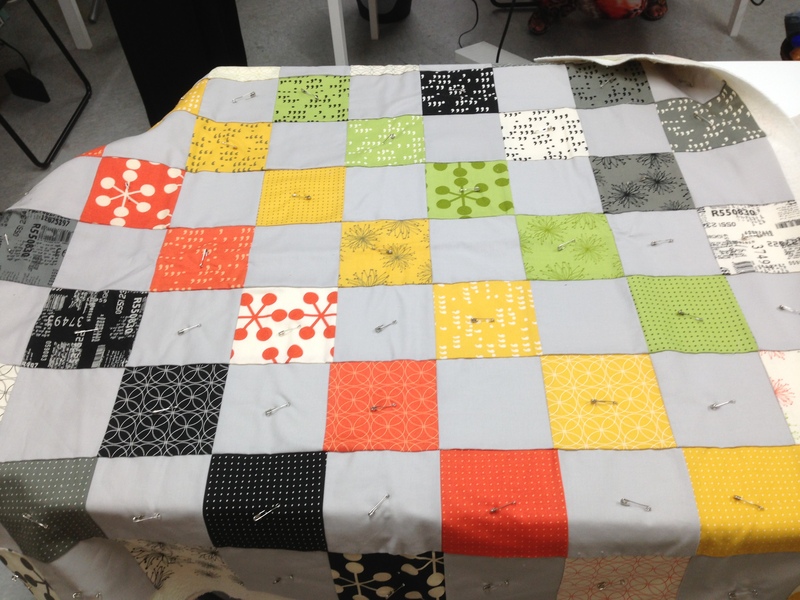 I love showing new quilters how to make a first quilt and watching them catch the quilting bug. 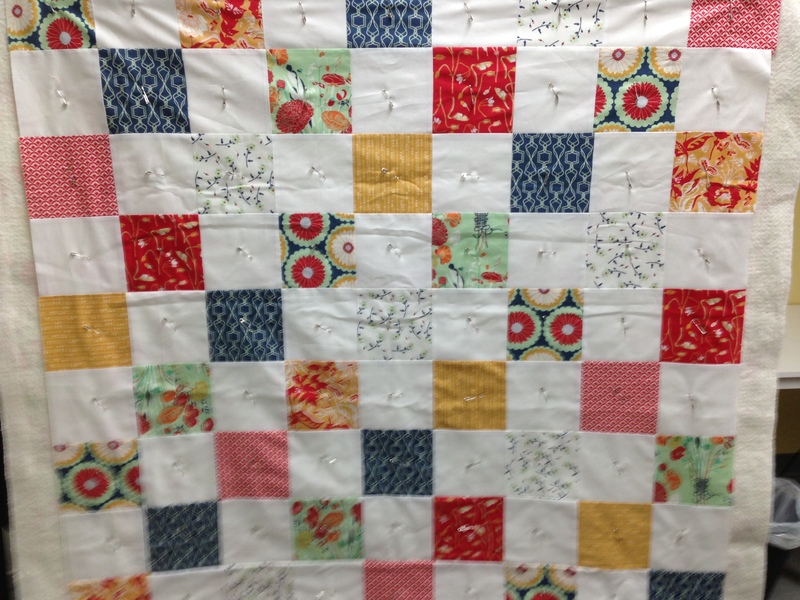 If you live in northern New Jersey and want to learn the basics of quilt making, come join me! Classes start September 25 and run for four Wednesday nights starting at 6:30. Call the store to sign up. I’ll also be teaching a session of free motion quilting on November 5. It is my favorite part of the quilting process, so if it’s something you’ve always wanted to do, call the store for pricing and to sign up. Be sure to check out some of the other classes being offered. My friend Melissa from A Happy Stitch is teaching at RPS for the first time and Liesl Gibson will be teaching a garment fitting class. Good stuff. I delivered a quilt that will be revealed very soon (with a free pattern!! ), so last night I got to revisit one that will actually stay in our house! 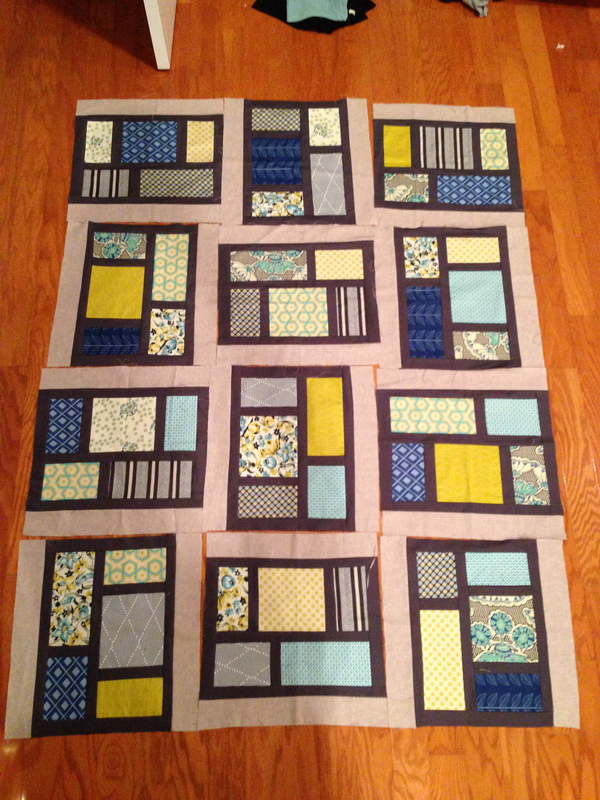 It’s Elizabeth Hartman’s Kitchen Window pattern, and was made with the help of a block party group. It’s going to live on the blue couch with Eli’s pillow. I so wish I lived near you to take your class!! !